MANILA, Philippines - The Metro Manila Film Festival (MMFF) 2015 committee on Saturday, December 26 has issued official statement on the alleged ticket swapping claims being raised on social media by AlDub moviegoers (fans of Maine Mendoza and Alden Richards) and ‘My Bebe Love’ camp. "The Metro Manila Film Festival, after looking into the ticket swapping issue, strongly denies the existence of such and is enjoining all the stakeholders of the Festival to be responsible in expressing their sentiments especially on Social Media," statement reads. MMFF added that the issue is baseless and will only destroy the true meaning of the festival. "The objective of the MMFF is to promote the local film industry and this baseless issue will only sideline the true intent and purpose of the Festival. Let’s continue supporting all the entries of the MMFF 2015." 'My Bebe Love' director Jose Javier Reyes on Twitter and some AlDub fans claimed the “ticket swapping” incidents that happened on Friday as the cinemas open for Metro Manila Film Festival movies. Got word from producer:IT IS TRUE. Make sure that the title of the movie on YOUR ticket is what you want to watch.Beware of ticket swapping. BEWARE OF TICKET-SWAPPING. Look at the title of the movie on your tickets. REPORT anomalies or take IG pictures and POST in social media. Please be calm but cautious. More important, true happiness can only be obtained by sincere and honest actions. ALDUB NATION, be above this. Meanwhile, SM Cinema in a Twitter post said that there had been a “mistake” in the printing of some tickets. “After verification, it was a mistake due to the high volume of tickets purchased. Apology for any inconvenience.” The tweet was taken down hours after posting. Eric John Salut, the AdProm Manager for Publicity and Social and Print Media Relations of ABS-CBN said the issue is just a stupidity and commended Kapamilya moviegoers for not being fooled by the hoax. #BeautyAndTheBestieDay2 We don't need stress nowadays. Dito na tayo sa total entertainment! E totoo naman e, andami nang nakapanood! 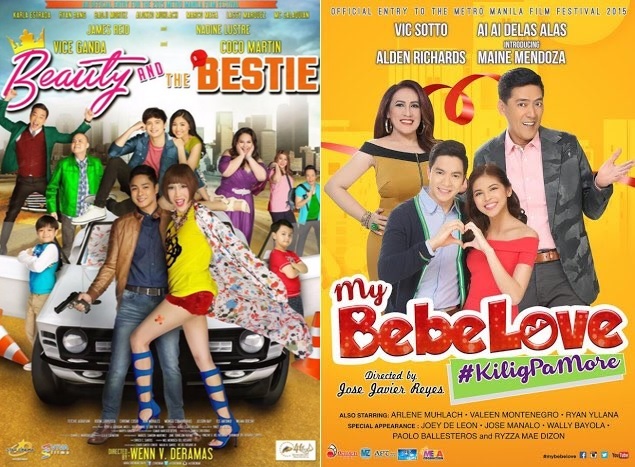 #BeautyAndTheBestieDay2 Nakakatuwa ang mga Kapamilya fans, mahusay silang mag-analyze at mag-investigate! Di sila pwedeng lokohin! Aldub fans. Are so desperate doing dirty things para lang maging #1 ang movie nila. Wow! No to Photo copy. Long ago MMFF entries competed together in harmony. Then everything changed when the Aldub fans attacked. No To PHOTO COPY.